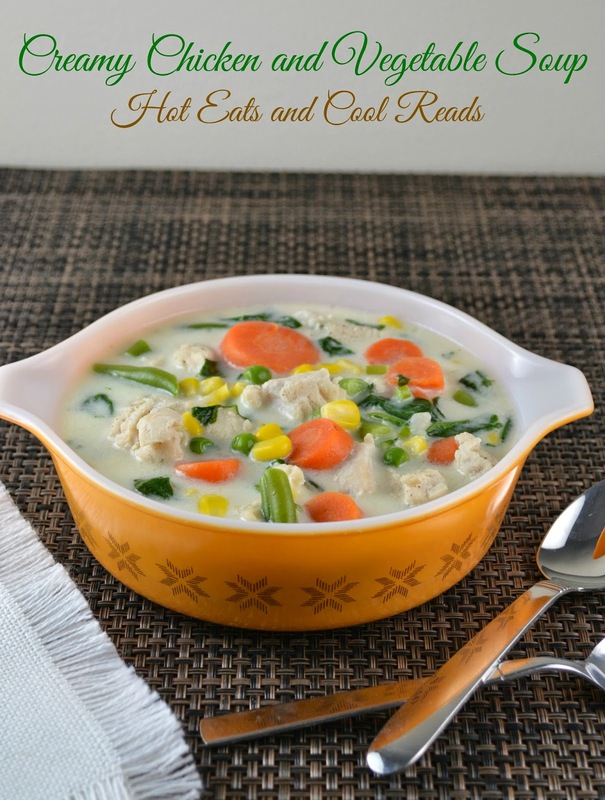 Hot Eats and Cool Reads: Creamy Chicken and Vegetable Soup Recipe! 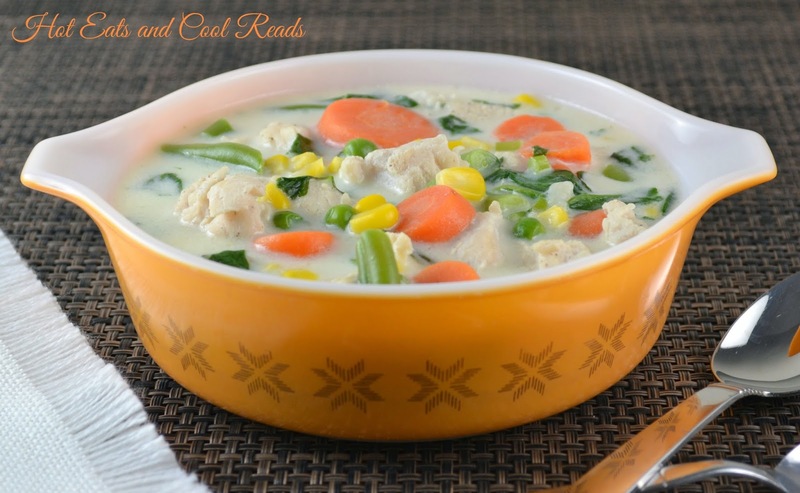 Creamy Chicken and Vegetable Soup Recipe! Many of us parents face the same dilemma.... How to get kids to eat veggies? Today, 9 out of 10 people in the United States do not get the proper amount of vegetables, according to The State Of The Plate report. I am pretty fortunate these days since my daughter is now a veggie lover. How did we get to this point? Try everything, then try them again if they don't like something! My rule has always been she has to try something new, and always at least two bites of each new food. It's worked great for us and she loves almost every veggie we eat, cooked or raw! I also let her choose recipes she'd like to try, then we pick out the types of vegetables she wants to add, using one new one we haven't tried before. It's so worth getting them involved in the whole cooking process! This year, Birds Eye has partnered with Melissa d’Arabian, celebrity chef, mom of four, and host of FoodNetwork.com’s web series The Picky Eaters Project, to make a difference and help moms with the dinnertime dilemma. I especially love her idea of introducing new veggies with already familiar meals! Everyone knows it can be tough to get a balanced meal on the table every day and we’re here to help. Birds Eye frozen vegetables helps mom by providing nutritious, tasty veggies that kids will love. 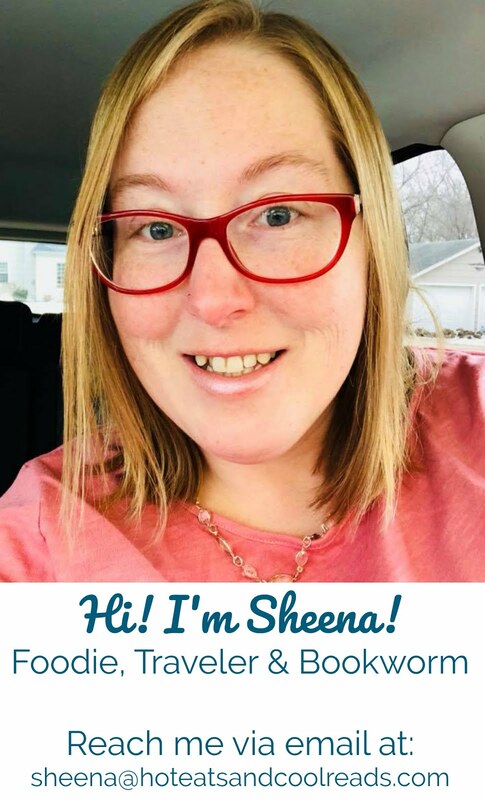 Together, Birds Eye and Melissa are combining their expertise in getting children to eat more veggies, one bite at a time. I'm sure we all can use some extra tips in this area! You can see some of her ideas and a new recipe in the video below! Birds Eye continues to make eating more vegetables a reality by showing families how to fill half the plate with veggies in fun and simple ways moms and kids will both like. By providing moms with more than 40 unique vegetable blends year round at affordable prices, Birds Eye continues to be her ally in the dinnertime dilemma. The best recipes to get kids to eat veggies in my opinion... are soups! 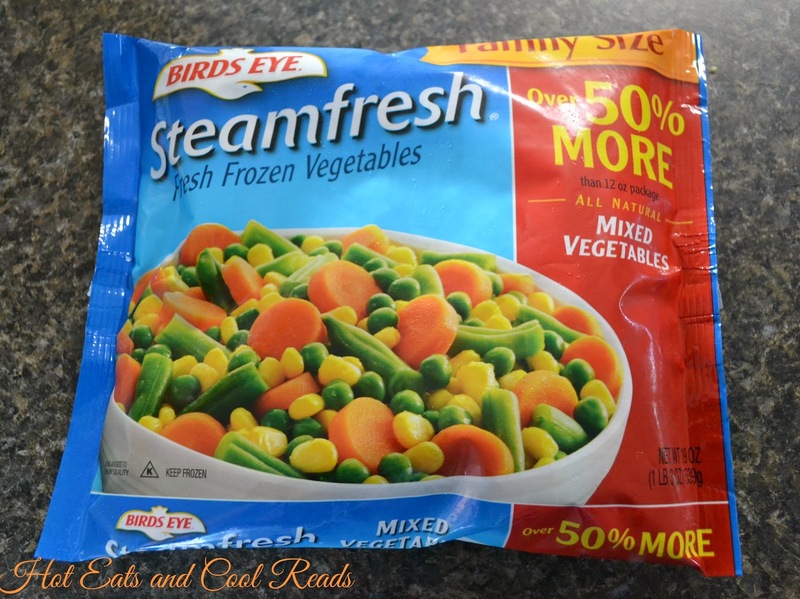 Birds Eye Frozen Vegetables turns soup making into an easy and quick task! All the veggies are cut into bite sized pieces, so no prep required and they hold up SO well in soup! We really enjoyed this recipe for Creamy Chicken and Vegetable Soup! The kids love it, and it's great served with a chunk of crusty bread for dipping! The package of mixed veggies adds a nice variety and it's done in 30 minutes! Perfect for weeknights! In a large soup pot, heat the olive oil over medium high heat. Add chicken and cook until no longer pink. Then add the broth, thawed mixed veggies and green onions. Bring to a boil. Meanwhile, whisk together the half and half and flour until combined. Once soup has come to a boil, stir in the half and half and flour mixture. Reduce heat to medium and cook until broth thickens. Before serving, stir in the chopped spinach, dijon mustard, nutmeg, salt and pepper. I love soup recipes for the fall! Thank you so much for sharing this with us, it looks so easy (and I love easy). Love this recipe, easy and delicious!!! Comfort foodies!! I bet my kids would like that soup recipe! this looks like a pot pie without the crust.. very creamy and yummy!!!! I like that there aren't noodles in this recipe, thanks for sharing! I love a quick and easy soup- this looks great! This looks so comforting and I love birdseye veggies! This looks like an easy soup, and almost like pot pie. I throws veggies in my soup too and always when I make my own broth. My kids are older and like veggies, but there are still some things I will tuck into things just to get some extra in. I know big and little kids that would love this tasty soup! This looks like pure comfort food! Yum! This looks like pure comfort food! Love that it is quick and easy too. This looks great! My kids love chicken soup and thankfully they usually end up eating all the carrots and other veggies thrown in. This looks so good, especially for the cold weather headed my way today! This soup recipe looks delicious! This looks so comforting, and I love how easy it is to make too! :) Yum! Thank you for this recipe. It looks so good and perfect for a cold day. Can't wait to try it. I love to use shortcuts like this in the kitchen. This looks like a great way to use frozen veggies! Anything that saves time and gets veggie on the plate is a win for me!! Gotta love Birds Eye veggies! They have so many options! This is a fabulous idea to get kids to eat their vegetables and the Bird's Eye veggies make it so easy! I love creamy soups - can't wait to try this! This looks soooo good and comforting and warming - makes me wish for cooler weather! That soup looks so good, especially with all the snow we got here in Maine today!